In the summer of 1983 I traveled from Manhattan to Buffalo, New York to work as a photographer on a movie starring Robert Redford called The Natural. 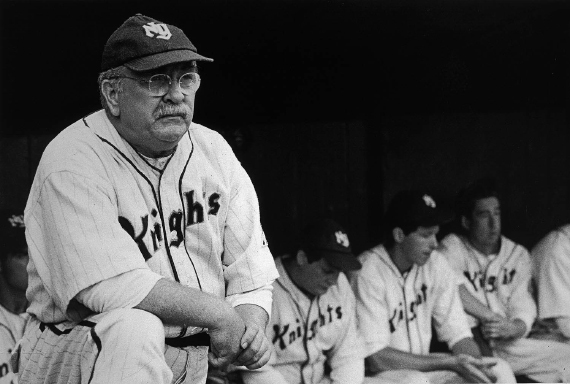 It was a baseball movie, based on a novel by Bernard Malamud who was born in Brooklyn. I started reading the novel on the plane. It was a marvelous piece of literature, filled with myth: Percival, The Knights of the Round Table, and The Fisher King among them, and probably some additional ones I did not recognize. 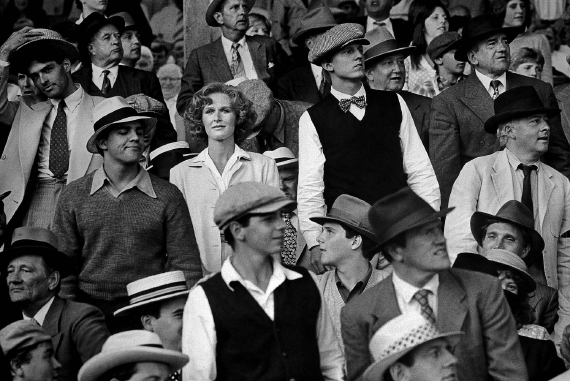 Malamud was a brilliant novelist who weaved those myths in the tangled roots of his work, but I wondered if baseball movie audiences would be hip to the "meaning beneath the meaning." Or, more importantly, I wondered if they would care at all about those subliminal themes. 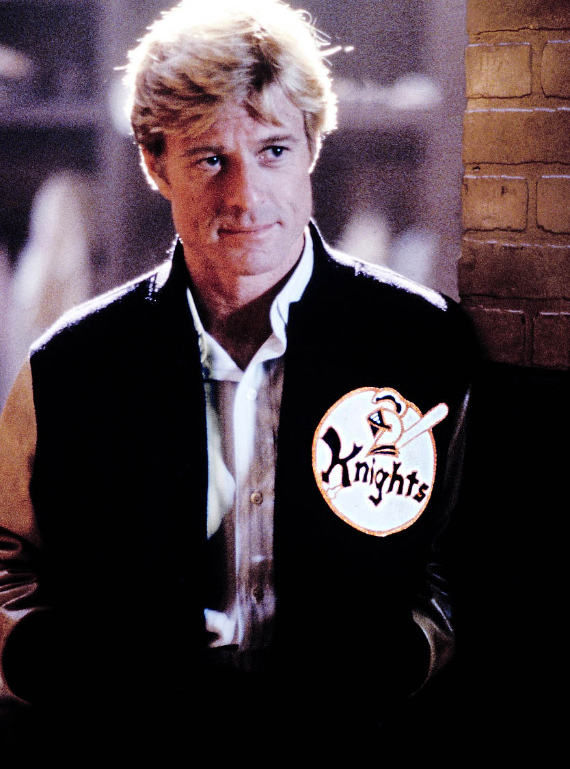 Redford played Roy Hobbs. 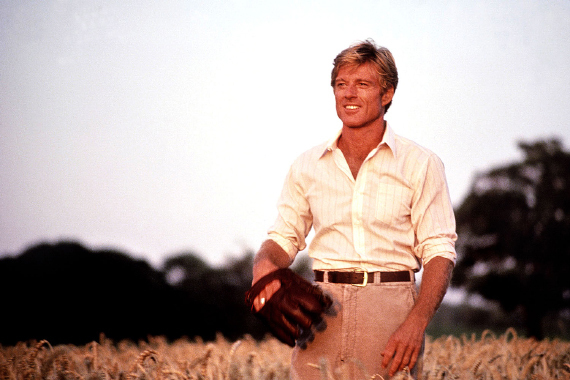 Besides his iconic All American good looks, and solid acting skills, Redford is a truly nice dude and always one of the smartest guys in any room. He was also a terrific natural athlete. All of Malamud's powerful themes mattered to him a lot. Sometimes a snapshot in a character actor's wallet will have great meaning to him, helping to navigate him through a complicated scene with spectacular results even if the audience has no idea of the existence of the wallet. The end result is what counts. A second time director named Barry Levinson was about to play in the big leagues with The Natural. He'd had a very successful writing career in TV. He wet his feature film feet by writing and directing a wonderful low-budget movie called Diner. I loved that personal film featuring a collection of great young actors, some of whom would become movie stars (Mickey Rourke and Kevin Bacon). I was impressed and made a mental note that it was so well made for a first time director. Soon after the critics raved about Diner, Levinson and those actors started getting larger movie offers, making bigger dough. That's how the equation works in "the biz"--your last gig matters. It elevates your power, gives you more choices (not always better) with projects, and your salary "quote" becomes a biggie. 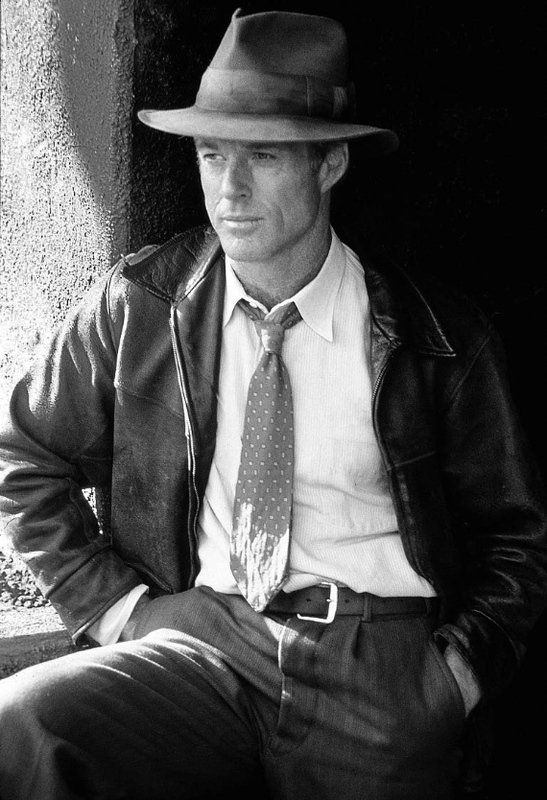 Redford hadn't done a movie in a few years, but he was a super-star. I wondered how he would deal with a relatively un-tested director directing him in a fairly big-budget movie. Barry reminded me of a lot of 60's guys I'd hung out with growing up in NYC. With a mane of graying long hair and a confident gait (you can't be a good director with a lame walk) Levinson was a street smart, urbane, fast-talking cat from Baltimore with very alert blue eyes. 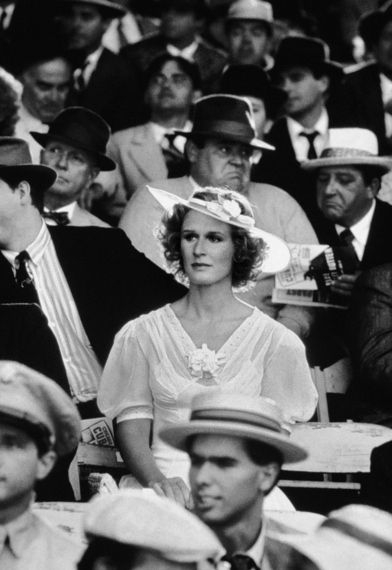 Barry Levinson was also a baseball fanatic. I was also immediately surprised that Barry had a ton of filmic skills. He had paid close attention while working on those TV writing gigs. For The Natural , he had the good sense of hiring a very talented Director of Photography named Caleb Deschanel. We were all working with a strong and heartfelt script written by Roger Towne. Barry also had his producer, Mark Johnson, from Diner, watching his back. Mark was a Joe-college looking guy who'd made the leap to producing after working as a production assistant and assistant director. Both of those stepping-stone jobs require spending very long hours on movie sets amid gifted cinematic craftsmen. 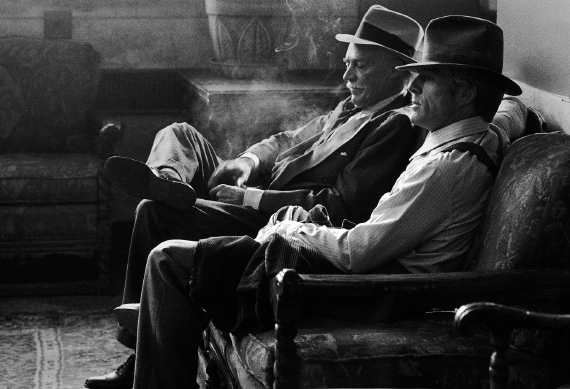 Those long days and nights became a collective master class in filmmaking that paid off big time. Experience counts in Hollywood. Today, Mark is one of the hardest working and savvy producers in the industry, overseeing blockbusters like The Notebook and the Narnia franchise and first-rate TV projects including Breaking Bad. Rain Man which won them both Oscars. After working as the unit still photographer on The Natural I worked on a cluster of quality movies with them. Barry would become one of my two North Stars in the movie business, the other being Woody Allen. The Natural was released in 1984 - is it really thirty years ago? --but it's still as fresh and relevant today as the day it opened to rave reviews. 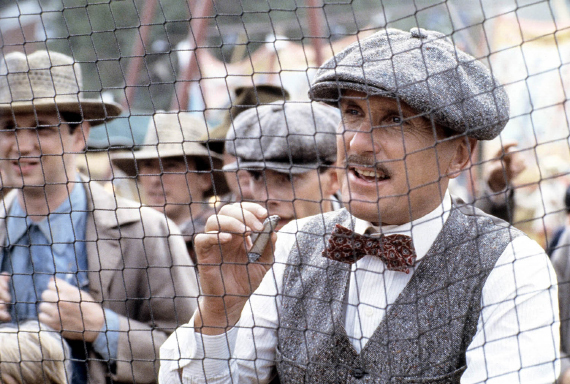 In my opinion it's the best of all baseball movies, but the multi-layered Malamud themes make it so much more than a disposable sports-themed entertainment. It was nominated for four Academy Awards and is now considered an American cinematic classic. The ending of The Natural still gives me goose-bumps, reinforcing the fable-like tale. 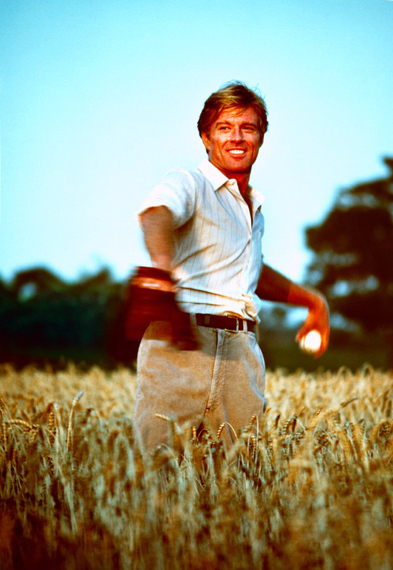 When Redford's Roy Hobbs blasts his towering home-run, that ball soared into a visually stunning piece of movie history. Let me just whet your appetite by saying it provoked a lightening storm of sparks. And all of Caleb's brilliant photography was shot before CGI trickery was available. The film was also blessed with a memorable cast that includes Glenn Close, Robert Duvall, Kim Bassinger, Wilford Brimley and Barbara Hershey. I am surprised that it has never been re-released into theaters. Because The Natural is timeless. It is America's pastime at its most heroic, before it was infested by drug addicts and webs of organized cheats. If you've never have had the privilege and you want to see baseball and movie making at its purest add The Natural to your must-see list. If you have already seen it, watch it on a rainy day when the tarp is spooled across the home team's infield and you will cheer all over again. I was honored to work on it. For further information and a look at more of Brian Hamill's photography work go to: brianhamill.com.